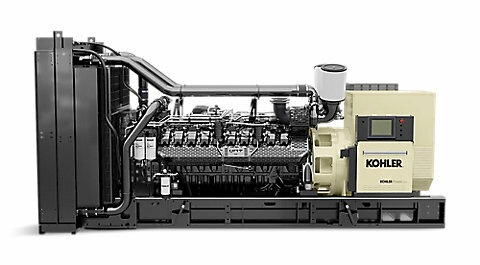 Winter Engine - Generator Service, Inc.
Winter Engine has established a network of successful dealers as an extension of themselves that sell, service and maintain the Kohler residential and light commercial generator product line. We are currently looking for a new dealer or two. Is your business ready to take the next step? Consider joining our network of Authorized Kohler Dealers. Our York, PA Campus offers Full Residential Generator Training, Inventory, and all the Support you need to be successful right now. Call 717-848-3777 or email jbecker@winterenggen.com to discuss becoming a Kohler Residential / Light Commercial Dealer today. KOHLER Residential Generators deliver commercial-quality, automatic backup power to protect the home and homeowner during extended power outages. Power your heat, air conditioning, sump pump and large appliances like your refrigerator, oven and dryer. Every KOHLER generator is meticulously quality-tested start to finish. First, our engineering team runs test after test during our design process, everything’s examined. Once the generator design passes our inspection, it’s ready for production. But before it leaves our factory, we put it through the paces one more time. The result is total reliability. Hurricane Season is here and homeowners are reminded to keep preparedness top of mind. KOHLER Generators has put together a list of expert tips to help homeowners prepare for possible power outages. Welcome to an entirely new generator experience. The next leap forward in industrial power. With almost a century of engineering know-how behind them, our new class of generators are built with an eye on the future — designed to last for decades, with better fuel economy and a smaller footprint than ever before. A power system is only as good as the parts that define it. That's why we engineer every detail down to the last bolt. This isn't your typical power system. It's a KOHLER industrial power system which means it's loaded with designed and manufactured components from KOHLER including generators, transfer switches, switchgear, controllers and more. Talk to one of our Knowledgable Sales or Service personel about your commercial Generator needs. 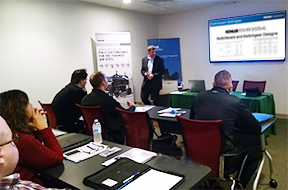 Winter Engine Industrial Sales, will deliver Digital Paralleling Systems seminar. Multiple topics are present based on your needs. Contact us to schedule 717-848-3777. Power Seminar Series start @ 10:00AM and run through 2PM. Delivered at No Charge and Includes Lunch. Please email: jbecker@winterenggen.com to secure your reservation(s). Seating is limited. These seminars are open to the Consulting Engineer Community.